Daily Illuminator: The Best Release In October! September 28, 2011: The Best Release In October! 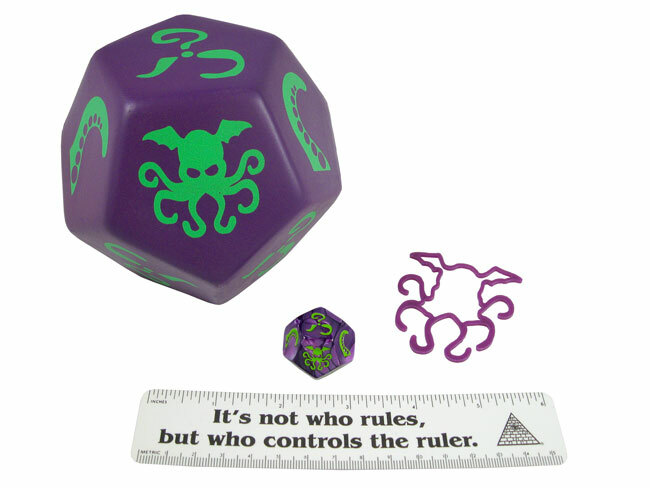 But I think the release I'm most anticipating next month is Giant Cthulhu Dice. The picture to the right shows the size, which certainly helps with the Awesomeness. It's the squishiness, however, that seals the deal. All this, and they're also a great game!